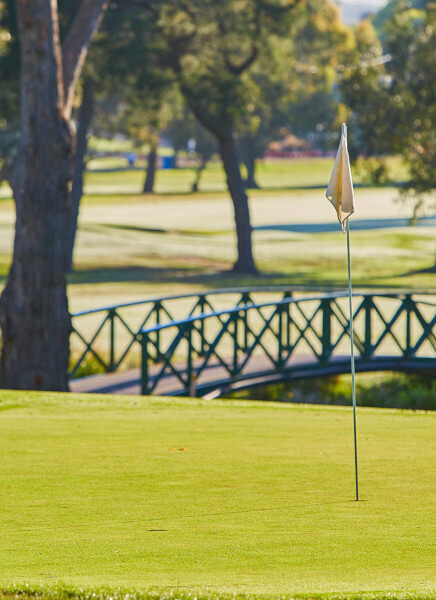 For corporate golf and corporate function venues in Melbourne, look no further than Box Hill Golf Club. The Box Hill Golf Club is perfectly placed to host your regular or one off corporate golf day. There is nothing like sealing the next deal over a round of golf. Box Hill Golf Club is the ideal corporate event venue in Melbourne for up to 120 sitting or 250 standing guests. Impress business partners with a stunning function venue or a round of golf with a PGA Golf Professional. 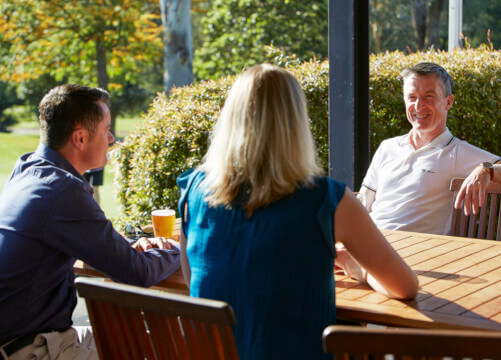 Why not plan a round of corporate golf at Box Hill Golf Club – or use our venues for corporate functions? Relax with clients and enjoy their company away from the stressful office. The golf course is essentially flat, making it easy walking. On the course you would not know that you are only 10 km from the CBD, it’s a true oasis in the middle of the Eastern suburbs. Different types of corporate golf packages are available for luncheon or dinner for your guests to finish off the day where presentations and awards can be made and bragging rights are claimed as to the best shots of the round. Our professional staff can assist you to organise the day in conjunction with the Golf Pro Shop who will handle the golf side, as well as being able to provide the prizes from the very well stocked Pro Shop. Box Hill Golf Club has 3 AAA trained professionals who can be engaged to provide lessons or can join your guests on the course. This is a real hit with most guests and can be the highlight for the day as you can gain tips from the pro. So start planning your corporate golf day right now and ring the club on 9808 1526. Corporate Membership packages are also available which can be individualised to suit your circumstances. Please phone the club on 9808 1526 to discuss your requirements with our General Manager, Russell Donovan. One of the options available is to become a Pro Am sponsor, so that you gain the recognition of being connected to the club that hosted the 2012 and 2013 Pro Am of the year and voted golf club of the year 2013.